Leo Muller is Executive Director of CHOICES Education Group, provider of the nationally distributed CHOICES stay-in-school workshop for middle and high school students. Leo has 34 years of nonprofit social enterprise leadership experience developing and executing business-education partnerships, volunteerism programs and cause-marketing relationships with Fortune 500 companies, chambers of commerce, service clubs and school systems. 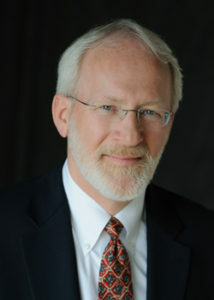 Leo has been with CHOICES Education Group since its inception in 1985, and has served as Executive Director since 1996. Leo has been a competitor and coach for the Social Venture Partners Fast Pitch Competition, a coach and judge for the Seattle Pacific University Social Venture Plan Competition, and is a national conference speaker and panelist. He is a member of the Rotary Club of Lake Union in Seattle, where he has served as Youth Service Chair and was recently tapped to serve as Club President for the 2019-2020 Rotary year. Leo has served as a member of the Nordstrom Scholarship Selection Committee and has been on the Board of the Children’s Music Foundation, the Washington Association of Partners in Education, the National Alliance of Business Task Force on Teacher Quality, the Washington State Partnership for Family Involvement in Education and the Alliance for Education School-To-Work Community Planning Group. Leo holds a Bachelor of Arts in Business from Seattle Pacific University. He lives in Seattle, WA and is married to writer and teacher Marlene Muller. They have two adult children. Leo is also a struggling musician, increasingly amateur racquetball player, former skier and slowing runner/jogger/walker.